The celebration is all about the migration of the Pacific Gray Whale with their newborn calves from the protected lagoons of western Baja to their ancestral feeding grounds in the cold waters of the Bering Sea. 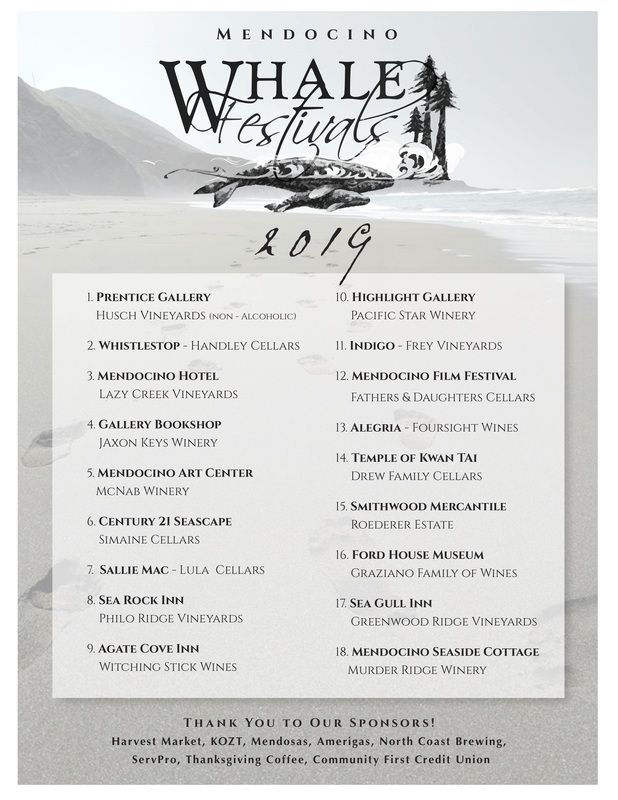 The migrating whales, numbering 18,000 - 23,000, pass by the Mendocino Coast twice each year: once going south between the months of November and February, and again going north between the months of February and June. Since they don't migrate as a single pod, some whales do not make it all the way to Baja. Some linger off-shore; observations suggest that these are primarily younger males. Newly pregnant females lead the southward migration, followed by their mates. They travel to three major breeding and calving lagoons on the west coast of Baja California, Mexico: Laguna Ojo de Libre, San Ignacio Lagoon (also known as Scammon's Lagoon), and Magdalena Bay. The northbound migration begins with immature animals (some of which may not have gone all the way to Mexico) adult males, and females without calves. Breeding sometimes is observed at this time. The full round-trip migration from the Baja calving lagoons to the Bering Sea and back is 10,000 miles (16,000 km). It's quite the commute! The California Gray Whale travels the longest distance of any mammal, always in shallow waters making them visible from land. In addition, this species of whale is the only whose year-round habits and whereabouts are well known. As a result, they have been heavily hunted. Captain Charles Scammon charted many of these areas in the mid-1800s as he hunted Gray Whales. Examinations of the stomachs of whales during the more prevalent whaling days indicated that Gray Whales eat very little while migrating and while in calving areas. Many may go without food for three to five months! 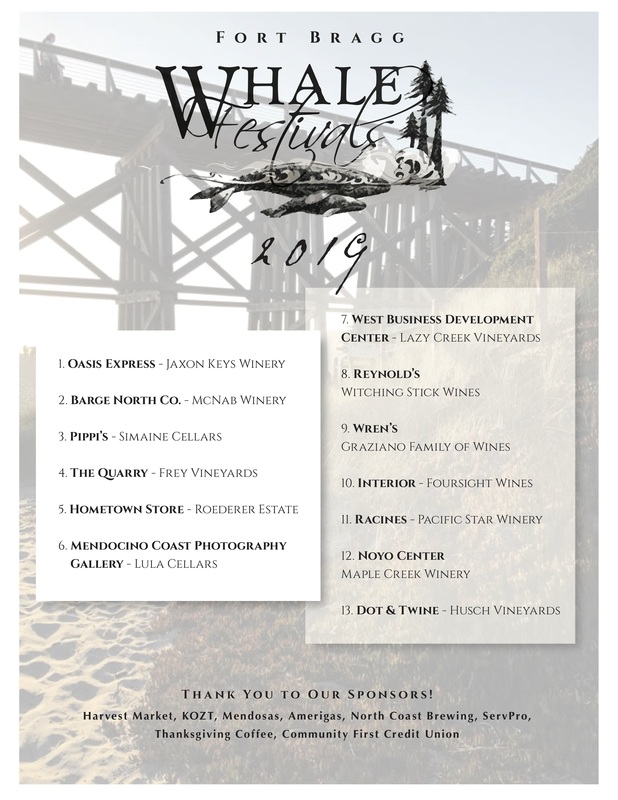 Click the link to find out more about the majestic Gray Whale, and thank you for attending the Mendocino Coast Whale Festivals!